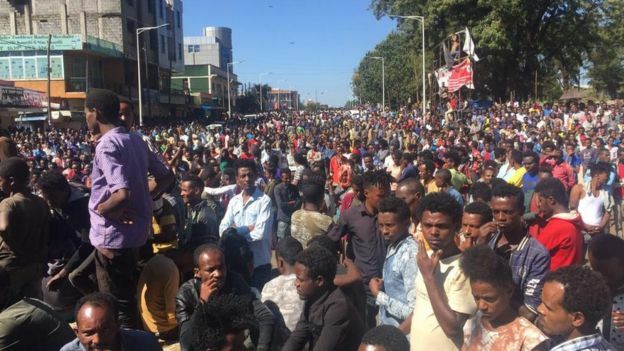 Posted by OromianEconomist in Colonizing Structure, Ethiopia's Colonizing Structure and the Development Problems of People of Oromia, Afar, Ogaden, Sidama, Southern Ethiopia and the Omo Valley, Uncategorized. In this regard, two particularly serious events require investigation by an independent international body. The recent displacement of more than 150,000 and the killings of hundreds of members of the Oromo community might fall within the international legal definition of ethnic cleansing. The other one is the extended displacement, population engineering and death of thousands of members of the Amhara community of Wolqait. This has all the traits and features of slow motion genocide. These two, perhaps among many others, cannot be ignored by the international community as the usual ‘ethnic conflict’; they are atypical in scale, precision, latitude and nature of execution. To discount them is not only to implicitly condone these heinous acts, but also to buoy others to act with impunity. As all justice loving people applauded the recent conviction of the “the butcher of Srebrenica,” Ratko Mladić, former Bosnian Serb general, by the International Criminal Court (ICC) for his role in the Bosnian genocide, war crimes and crimes against humanity, the international community must also track other Mladic’s in various parts of the world and bring them to justice. Even though more than eighty ethnic groups make-up the country’s hundred million population, key structural, administrative and command and control positions are overwhelmingly reserved for members of the Tigray Peopele’s Liberation Front (TPLF), that claims to represent less than 6% of the country’s multi-ethnic population. This lack of national character and national allegiance within the military and security apparatus lends itself to a conclusion that these institutions are subordinates of and only loyal to the minority ruling elites. COMMENTARY: WAS/IS THERE ETHNIC CONFLICT/ VIOLENCE IN ETHIOPIA? Conceivably, if there is a single most important question that requires in depth interrogation in the present political atmosphere of Ethiopia it is this one: was/is there ethnic conflict in Ethiopia? Though it seems straightforward enough, it is an enormous research question that necessitates proper scrutiny and systemic analysis. Moreover, to provide an honest and somehow adequate answer to this crucial question it is important that both the past and the present be examined without indulging in sensationalism and one-dimensional political melodrama. But why ask this question now? Expressly, it is now more than two decades since the current federal political configuration has ‘commendably resolved’ all the lingering issues associated with ‘nations and nationalities.’ Well, the concise answer is contrary to this claim of ‘achievement.’ There is a persistent political revolt across the country rebuffing the government’s assertion that the ‘ethnic question’ has been ‘put to rest’ through the federal constitution and delineation of boundaries on linguistic as well as ethnic lines. Furthermore, in recent instances some senior government officials, both at a national and regional levels, political groups, media outlets and individual commentators are chillingly pronouncing the current political and security environment in the country as an apocalypse of ‘ethnic conflict,’ ‘ethnic cleansing’ and even ‘genocide.’ This message is communicated sometimes with implicit and other times explicit countenance of mass ethnic violence that has taken place. Often these terms are used interchangeably, as if they are one and the same. Indeed, these three different classifications of conflict and violence demand careful conflict analysis methods before reaching a conclusion as to whether or not they have occurred. Most importantly, those who claim they have occurred should know the seriousness of the matter and at least endeavor to present qualitative and quantitative evidence that supports their assertion. Additionally, if in fact these claims are true, they must be put in the right context and their dynamics and nature (who, when, what and where) should be mapped and considered judiciously. What is more disconcerting is the casual and banal use of theses terms without providing any background analysis or supporting data. This is particularly troubling because it is emanating from those who should be more responsible, cautious and disciplined in their evaluation, deliberation and communication with the public. Unfortunately, they are evoking these words in a way one would comment on spectator sports matches. The misuse, misinterpretation and exploitation of terms such as ‘ethnic conflict’, ‘ethnic cleansing’ and ‘genocide’ for the purpose of inverted victim-hood narrative is repugnant and should not be tolerated. This reality reflects grave moral and ethical decay among the political class. Meanwhile a different form of quandary lurks within academic circles in the study of ethnic conflict, ethnic violence and related inquiry. This is deeply ingrained assumption among academia, ‘experts’ and policy makers is the hypothesis that state ethnic groups are primordial entities who are inherently bound for conflict, animosity and violence against each other rather than coexistence and congruence. This presupposition remains entrenched within ethnic and ethnic conflict studies programs across universities and college campuses. This is not to say, however, that there are no conflicts and violence between and among different ethnic groups. Indeed, they occur on different scales and magnitude, sometimes with a devastating effect, other times with a mild skirmishes and sporadic confrontations. The problem is the mindset and pre-concluded notion of the inevitability of ethnic groups engaging in ‘old rivalry,’ which finds its roots in the legacy of colonialism slavery and apartheid. Furthermore, there are more ethnic studies and ethnic conflict studies programs in the West (focused on Africa and the “third world”) than in the regions where the ‘problem’ exists. In fact, in the Western academic institutions these programs have exploded over the last twenty or so years. This has led to a ‘confirmation bias,’ which is the tendency to search for, interpret, favor, and evoke information in a way that validates one’s pre-existing beliefs or hypotheses while offering unreasonably less consideration to evidence that challenges or contradicts it. This is perhaps the most persistent mistake conflict studies professionals make during a conflict analysis process. In an academic sense there are four school of thoughts in understanding of ethnic identity and its potential for conflict. The primordial school of thought explicates ethnicity as a fixed characteristic of individuals and communities. Additionally, for primordialists, ethnicity is embedded in inherited biological attributes, a long history of practicing cultural differences, or both. Ethnic identity is unique in its intensity and strength and as an existential feature defining individual self-identification and communal distinctiveness. The psychocultural orientation of ethnicity offers deep cultural and psychological roots which shape the groups’ shared world views. Hence, ethnic identity cannot be changed, only made more tolerant and open-minded. Promoters of a different school of thought, called as social constructivism, emphasize the social nature of ethnic identity. In their assessment, ethnicity is neither immovable nor entirely open. Thus, ethnic identity is created by social exchanges between individuals and groups and stays beyond a person’s choice. For instrumentalists, ethnicity is a product of personal choice and mostly neutral from the situational circumstances or the existence of cultural and biological traits. The most potent ingredient in a politically motivated ethnic violence is the construction and promotion of hateful narratives against an ethnic group or more than one ethnic group. Stories, songs, literature mixed with myth, and history serve as a mobilizing propaganda campaign strategy as well as dehumanizing the ‘other’ to the point that justifies killing or harming. In the same way these stories of dehumanization are transmitted intergenerationally to keep the hate message alive. There are groups and individuals at the highest leadership positions involved in such a dangerous and divisive campaign against more than one ethnic group. In fact, this reckless venture continues to be employed as a political tactic and strategy to retain hold on power. When analyzing the conflict and violence dynamics in Ethiopia, we encounter one incontrovertible detail which gives credence to the ‘ethnic conflict’ argument. That is the militarization of ethnicity and the ethnicization of the military. This is particularly factual for the ethnic party directly associated with the ruling elite. Reminiscence of the guerrilla years, all units of the army and security reflect ethnic hegemony. This way of structuring the military is the most troubling feature of the political dynamic in the country. Even though more than eighty ethnic groups make-up the country’s hundred million population, key structural, administrative and command and control positions are overwhelmingly reserved for members of the Tigray Peopele’s Liberation Front (TPLF), that claims to represent less than 6% of the country’s multi-ethnic population. This lack of national character and national allegiance within the military and security apparatus lends itself to a conclusion that these institutions are subordinates of and only loyal to the minority ruling elites. In addition, the presence and involvement of federal and regional paramilitary groups with a sworn loyalty to their ethnic parties in quashing popular uprisings and revolts demanding change appears to be an affirmation that government backed institutional ethnic violence is taking place. Since these groups are organized by and report to their ethnic military and political power command, it is safe to say the violence contains an ethnic element. The conventional rationale for such violence is often the fear of a minority that the majority will abuse power to the disadvantage of the minority in the political arrangement. While this analysis is true for much of ethnic conflict/violence in various parts of the world, the minority-majority dynamics is set up in reverse in Ethiopia. In other words, the minority group controls the political and economic power, while the majority is marginalized. As of late, non-conformist and independent leadership within the political landscape of the country is making an appearance. Inter-ethnic collaboration inside the country and within the diaspora both at a community and political party levels is gathering momentum. All in all, despite the weight of injustice and the pain of oppression, there is some modest wind of hope and optimism blowing on the majestic mountains, valleys and farmlands. Hope and optimism, the unbreakable spirit of the people that broke the back of European fascism, is once again ready to fight for its freedom, be it against external threat or homegrown transgressions. It is clear that regional ethnic parties that make up the ruling EPRDF do suffer from authenticity and credibility deficits due to the original nature of their creations. 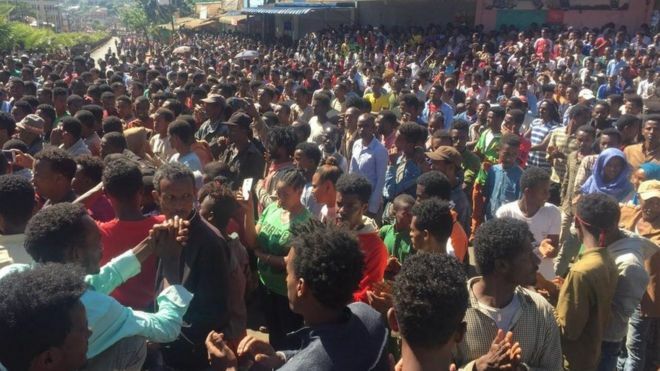 Both the Oromo People’s Democratic Organization (OPDO) and the Amhara National Democratic Movement (ANDM) didn’t come to being through an organic process. 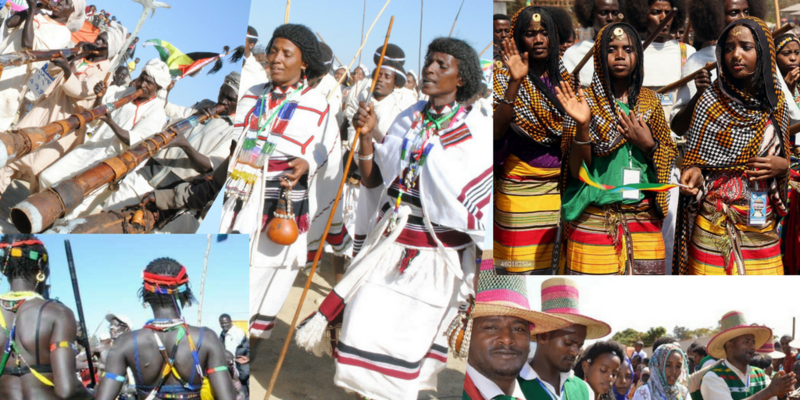 They were formed by the Tigray People’s Liberation Front (TPLF) during the civil war. In recent months, these two groups have shown a very practical as well as psychological (symbolic) demonstration of unity and leadership to their constituencies and the entire country. Given the fact that trust between authority and citizenry is often absent in Ethiopian governance structure, ANDM and OPDO must travel a great length before they gain the full trust and support of the people. 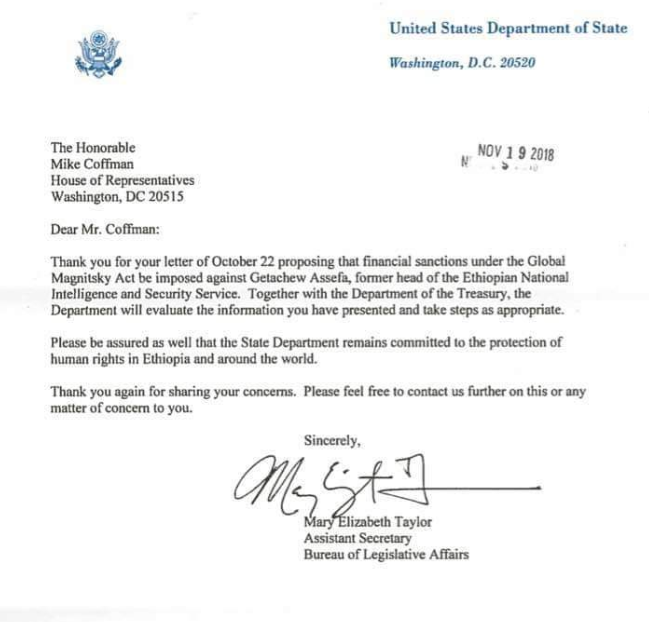 In return, the people of Ethiopia must offer them the benefit of the doubt and give them sometime to prove themselves. 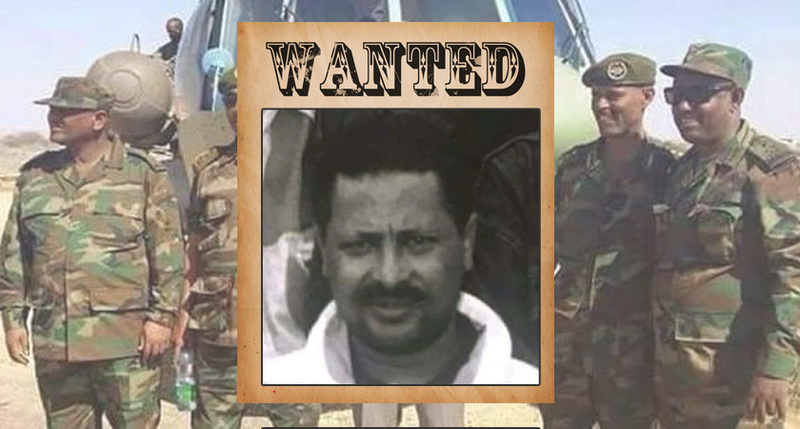 Justifiably, the majority of the Ethiopian public views the military, the police and security apparatus as a threat rather than a protection. In addition, the lack of unifying symbols and expressions, such as a national flag or national anthem, have resulted in the use of competing symbols rather than commonly shared ones, further dividing the society not only on a substantive level but also at a symbolic level. In an apparently leaked document entitled ‘Security situation analysis,’ a little-known body called the National Security Council derided that the country’s political, social and economic order is unraveling and inter-ethnic violence including genocide is “threatening” the country’s very existence. Unfortunately, this rather alarming assessment doesn’t substantiate, quantify or offer any background analysis about this gloomy situation. The reports claim that “genocide has taken place in the eastern part of the country” is obviously startling, but lack of further investigation by an independent international body is equally disturbing. In contextualizing and analyzing the current dynamics in Ethiopia, it is safe to say that there is no mass inter-ethnic violence. However, there is unambiguous evidence that federal and state level institutions, such as the military, special units and regional police forces with an ethnic administrative and structural commands have been used to target ethnic groups. This should make the identification, investigation and prosecution of the responsible individuals much easier than mass ethnic conflict. History’s pitfalls and blood stains are not unique to Ethiopia. They are the tragic scars and contours that mark the nation. Some of the terrains of our past show the blood-stained footprints of our ancestors. However, the prejudice and injustice of our past must not serve to engineer the suffering of our present. Thus, the study and honest interrogation of the past will obviously bring discomfort and pain. We must look at them, touch them, and feel them. This, all of us to face and do by unlocking our hearts and making it our collective tragedy. Most importantly these experiences, however painful, are sacred pages of our history and they should be treated as such. Any meditative calculation to use them as political stock to build division between groups and sustain a grip on power is not only dangerous, it also falls outside the moral decency and cultural norms of the people of this land. The seeds of division and hate, in spite of how deep they were planted and how loud they were propagated, they failed to sow permanent discord between communities with shared history and experience. For that we as people should be proud. Despite the uncomfortable and at times painful chapters of the country’s history, people across this land have kept their decency and sanity. Never in this country’s history has an ethnic group mobilized to wage a war or terrorized another ethnic group. Yes, state armies and groups manipulated by elites past and present have executed the desire and agenda of the ruling class. But there was no deep rooted, hate-filled animosity that indented neighbor against neighbor, village against village or community against community. Not for lack of trying by the elites, but by people’s rejection of hate and division. Ultimately, the people must join together to build a shared future. ED’s Note: The writer can be reached at Alem6711@gmail.com. Disclaimer: The views and opinions expressed in this article are that of the writer’s and do not necessarily reflect the editorial of Addis Standard. See United Nations definition of genocide: http://www.un.org/en/genocideprevention/genocide.html.